All instructors here are part of a direct and undiluted teaching lineage in the Calcutta tradition of Bishnu Ghosh and Bikram Choudhury. Our high teaching standards include a minimum of 500 practice hours before training, 500 hours of teacher training within the lineage, and a long-term apprenticeship with our school director, who is a Level 3 teacher registered with the Original Hot Yoga Association and a senior Certified Bikram Yoga instructor (BYTT ‘04). Our standards for accepting trainees for apprenticeships are the highest in the state of Michigan, ensuring that all yoga students receive detailed attention on correct techniques and approaches. While each teacher has a unique approach and demeanor in the class, we encourage students to attend all teachers’ classes to get the most well-rounded experience and instruction. Read more about our teacher training and standards here. Carolyn is a retired public school elementary teacher and musician. She began practicing Bikram Yoga in October 2014 to supplement strength training for triathlon training and found it to be much more therapeutic than she had ever imagined. 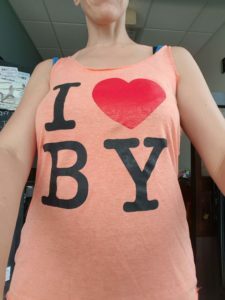 Truly experiencing how yoga practice extends far beyond a yoga mat, she is grateful to have learned so much about gratitude, compassion, and presence through her Bikram Yoga practice. While a practitioner at Bikram Yoga Grand Rapids, Carolyn regularly attended Ann’s posture workshops at BYCA. She is truly a lifelong learner, and she is so grateful for the opportunity to share her love for this amazing yoga! 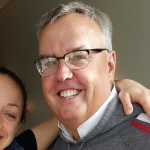 You will find Michael involved in all aspects of BYCA – from the cover of our brochure and founding supporter of our non-profit Ten Percent Project, to teaching classes and in regular mentorship conversations with Ann. Michael uses Bikram Yoga to reduce his chronic phantom limb pain from a 2010 car accident that traumatically amputated his left arm at the shoulder. He has practiced this yoga nearly everyday since 2011! Maria has been practicing various types of yoga for decades and Bikram Yoga since 2005. She attended Bikram Yoga Teacher Training in Spring 2014 in Los Angeles and is a staff teacher at Hot Yoga Detroit/Bikram Yoga Northville. Lisa Marie began her regular Bikram practice in the winter of 2012. By fall of that year, she gave up her previous life in Portland and went off to Bikram’s Teacher Training in Los Angeles. 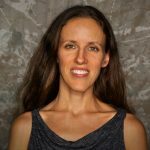 She attended Bernie Clark’s Yin Teacher Training in the summer of 2016, and has practiced & trained extensively with Ida Jo and Scott Lamps. When Lisa Marie is not teaching or practicing or thinking about yoga, she can often be found sewing something beautiful in her opulent and cozy school bus, Grace, where she lives full time. Vic first discovered Bikram Yoga in Naples, Florida, and has practiced at over 30 studios in 15 states around the country. A golf professional for over 25 years, he brings an astute and experienced coaching perspective to the class. The depth and breadth of Vic’s thoughtfulness and self-directed studies are a tremendous asset to BYCA. He completed the Isha Yoga Inner Engineering Program in 2016. Ann started practicing yoga in 2003 in Ann Arbor, MI. She completed Bikram Yoga Teacher Training at La Cienega HQ in Los Angeles (August 2004). Before opening BYCA in 2013, she taught at nearly all of the Bikram Yoga schools in Michigan. 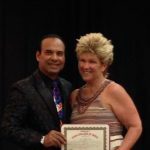 She has over 4000 hours of teaching experience and leads workshops locally and internationally. Her teaching is strongly influenced by her degrees in Literature and Media Studies (B.A. 2000, Duke U. ), Asian Studies (M.A. 2006 UM-Ann Arbor), and Medical Anthropology (M.A. 2010 MSU). Her yoga background also includes immersive initiation programs with Sadhguru Jaggi Vasudev (2006 & 2018) and Shibendu Lahiri (2010), as well as the Isha Hatha Yogasanas beginning yoga program (2017). 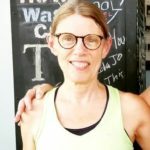 Ann placed 3rd overall in the 2017 USA Yoga Midwest Asana Championships and was the Michigan representative to the 2017 USA Yoga National Championships, where she placed 31st. Ann enjoys working with youth, coaches, athletes, pregnant women, and those with limited mobility, chronic pain, paralysis, or injuries. She is currently at work on a book project with BYCA student Jennifer Lane on the effects of Bikram Yoga on autoimmune diseases. One of our missions at BYCA is to raise the bar for yoga teaching, in order to retain and transmit the principles of 20th century therapeutic hatha yoga to the interested public, and in order to provide the maximum benefit to every level of yoga student. While most yoga classes and studios in North America have shifted to a mix-and-match fitness class model, we retain and educate our students in the elements of a single lineage of therapeutic hatha yoga. This requires significant dedication and investment of practice and study on the part of every teacher. Most yoga studios in the United States hold Yoga Alliance-approved teacher trainings as a necessary part of their bottom line, and accept any and all interested students. Many teacher trainers at these programs are relatively new teachers themselves, often having less than 5 years of practice or teaching experience. These programs allow you to pay for use of the RYT designation. We do not participate in this business or affiliation model, as it quickly dilutes and weakens traditional practices and creates a competitive, unsustainable situation. Instead we endeavor to selectively invite seasoned practitioners, leaders, and disciplined practitioners to carry on the lineage to the next generations. All of our teachers meet or exceed the minimum training standards of the Original Hot Yoga Association, which far exceed those set by Yoga Alliance. For students who want to deepen their practice, we regularly hold continuing education programs, intermediate classes, Yoga Studies Immersions, and visiting teacher workshops. Once accepted as a trainee, there are several components of training, including class observations, mentorship discussions, residential/immersive training, student-teaching at BYCA, and ongoing teacher mentorship courses. The original Bikram Yoga teacher training run by Bikram Choudhury and senior mentoring teachers from around the world. Held at various international locations once or twice per year for 9 consecutive weeks. 500+ hours, residential. 500 hours, local and away. 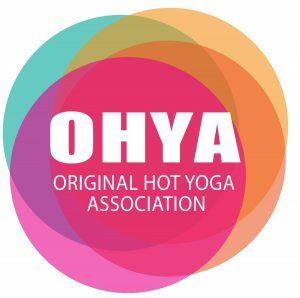 BYCA Owner Ann Chrapkiewicz is approved as a Level 3 teacher with the Original Hot Yoga Association and qualified to lead teacher trainings and continuing education in the lineage. Short-term immersions with Ann and other senior teachers in the lineage are also required as part of this program. Once initial prerequisites have been met, please contact Ann for more details. For those wishing to work with students one-on-one to prescribe therapeutic exercises in the Ghosh lineage, this 3-week study is directed by Muktamala Mitra, granddaughter of Bishnu Ghosh. Held at Ghosh’s Yoga College in Calcutta, India. Residential. This course does not prepare you to lead a group class but does deepen your knowledge and understanding of therapeutic indications. Detailed program information can be found here.